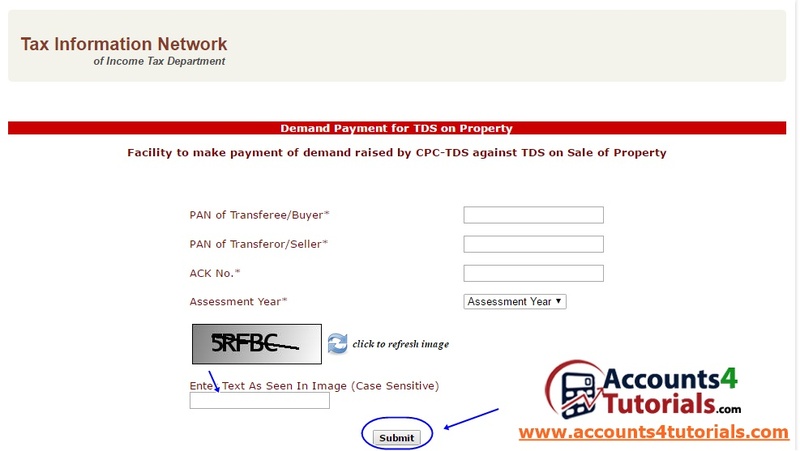 Sometimes you have received demand tds payment for on sale of property raised by Central Pay Commission (CPC). Enter the text shown in the image and then click on the “submit “button. The below mentioned screen will appear by clicking on the “Submit” button. The communication reference No. as reflected in your intimation letter is mandatory to be filled. Demand of Short deduction (S.No. 1 of intimation letter) is to be filled in the’ Principal Tax’ row. Sum total of Demands of all Interests(S.No. 2(a),3(a) and 3(b) of intimation letter) is to be filled in the ‘Interest’ row. Late filing fee u/s 234E (S.No. 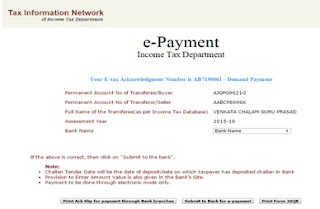 4(a) of intimation letter) is to be filled in’ Fee’ row. 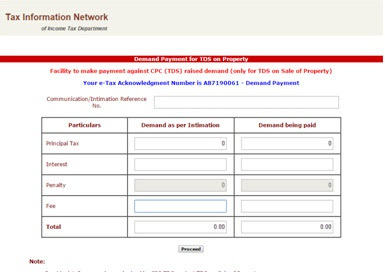 System will automatically calculate the total of all rows .It should be noted that the total amount in both the columns i.e”Demand as per intimation” and” Demand being paid” should be exactly same ,otherwise the system will not allow buyer/deductor to proceed further . After filling all necessary details click on the “Proceed” button for e-payment of the demand. The below mentioned screen will be displayed. Click on “Submit to bank for e-payment” tab for the successful e-payment of your demand.